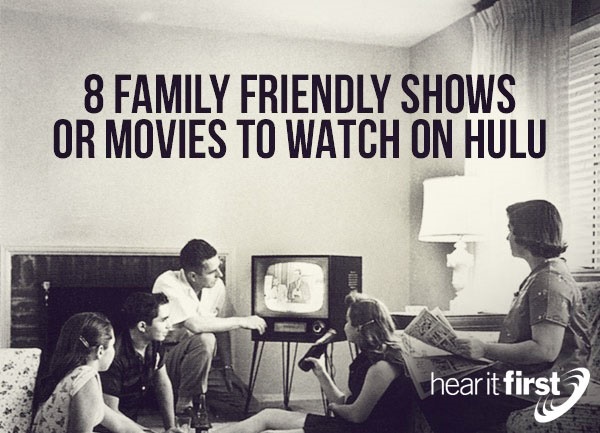 Here are what I believe to be eight family friendly shows or movies on Hulu. Finding Nemo is an American movie classic, available on Hulu, is a movie about a couple, Marlin and his wife, who are admiring their new home when a barracuda attacks them, knocking Marlin unconscious, only to wake and find that all but one of the eggs were eaten. Marlin names the last egg Nemo and somehow, Nemo is placed in a fish tank in the office of a naive dentist named Phillip Sherman in Sydney Harbor. This adventurous movie is good, clean family fun for all ages. Obviously, this movie has been around for a while (1994) but it’s value as a family movie has never diminished with time as the values and ethics are easy for all ages to see and understand, and in the hopes that young children will instill these same values about family and friendships and still sits among the most watched movies on Hulu. This Disney movie is still among the favorites of families because it is a wholesome movie where parents won’t have to hit the mute button in certain sections of the movies. The animated and non-animated version, featuring as Glen Close as Cruella de Vil who wants to use the Dalmatians for a fur coat she desires. Both the animated and non-animated movies are completely safe for all ages of the family. Another classic family movie available on Hulu is Beethoven but it’s not about the iconic music master, Beethoven but about a group of puppies that were stolen but one manages to escape with the help of a little Jack Russell Terrier who diverts the attention away from the fleeing St. Bernard, Beethoven, who is hiding in a garbage can and who is later discovered by the Newton family who immediately love him; all except dad who doesn’t want the responsibility and so grudgingly he is convinced to keep the dog. Although he is often in trouble, he does help the children in various ways that often are hilarious and frequently touching. The classic series, Star Trek; the Next Generation, is still in syndication in many markets in the U.S. but Hulu offers this serious that is full of adventure but not full of “potty-mouth” language so this series is highly recommended for families of all ages and there are lessons about human nature too with Data, the android, played by Brent Spiner is constantly learning about why humans act and respond as they do. He is under the command of Captain Jean-Luc Picard, played by Patrick Stewart, whose mission, as well as the rest of the Enterprises’ crew, is to explore new worlds and seek out new life, much like the original TV show from the 1960’s. This classic Hollywood movie starring Charles Hesston is placed in a time where the Jews are under the iron fist of the Roman Empire and Judah Ben Hur is resistant to their rule and ends up as a galley slave. It includes an appearance of the Son of God, Jesus Christ, who gives the nearly exhausted and dying-of-thirst Ben Hur and which he remembers later in life. There is some mild violence during the chariot races but nothing that is too graphic and the moral lessons in this movie are priceless. The movie is both clean in language content and is very family-friendly. Antz is a 1998 American animate movie that is truly captivating because we see how life is for ants but from their perspective and features some of the most recognizable voices in Hollywood like Woody Allen, Sharon Stone, Jennifer Lopez, Sylvester Stallone, Dan Aykroyd, Anne Bancroft, Danny Glover, and Gene Hackman, to name but a few. The setting is like any other ant colony setting except this one’s in the middle of New York City in Central Park about a revolution that takes place among the ant workers as well as a few soldier ants, where productivity grinds to a screeching halt. The movie is one that is suitable for the entire family and teaches important lessons about cooperation and where each person has a place and a purpose in life. There are zero issues with language or content and I fully recommend this movie, available on Hulu. It’s very easy to watch movies on your computer with Hulu and the variety there for families to enjoy is seemingly endless, however parents or grandparents should use caution in choosing the movies because some that appear innocent enough are rated PG-13 and contain strong language and suggestive content that is not suitable for young children and in my opinion, if it’s not suitable for young children, then really, it’s not suitable for the Christian to watch…no matter how innocent looking the movie title seems.